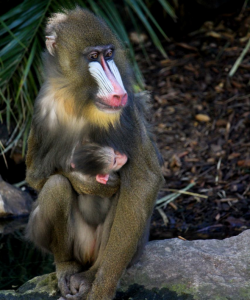 Adelaide Zoo is celebrating the birth of an adorable Mandrill baby – the first to be born at the zoo in six years. Born in the early hours of the morning on Monday, 9 October, the week-old infant is the second offspring born to mum, Niari, and the third for dad, Tabah. Adelaide Zoo Acting Senior Primate Keeper Sophie Miller said the tiny youngster, who is the ninth of its species to be born at Adelaide Zoo, was thriving under the care of Niari and appeared strong and healthy. “It was certainly a nice surprise to arrive at work last week and be greeted by Niari and her new arrival,” Sophie said. 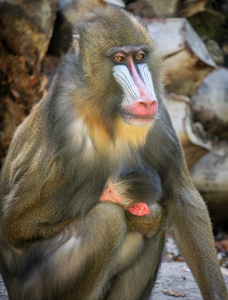 “The little one is already getting a lot of attention from the rest of the Mandrill family, but Niari is being a very protective mum and has a strict hands-off policy with the rest of the family. “Big sister Mayombe is particularly keen to get a closer look at her new sibling but the infant is clinging tightly to mum. The yet-to-be-sexed youngster marks an important contribution to the vital breeding program securing a future for this vulnerable species. The world’s most colourful primate and the largest species of monkey, Mandrills are native to the tropical rainforest and forest savannahs of southern Cameroon, Gabon, Equatorial Guinea and Congo. Habitat loss caused by deforestation and hunting for the bushmeat trade has seen wild Mandrill numbers decline, with this amazing species now classified as vulnerable to extinction. 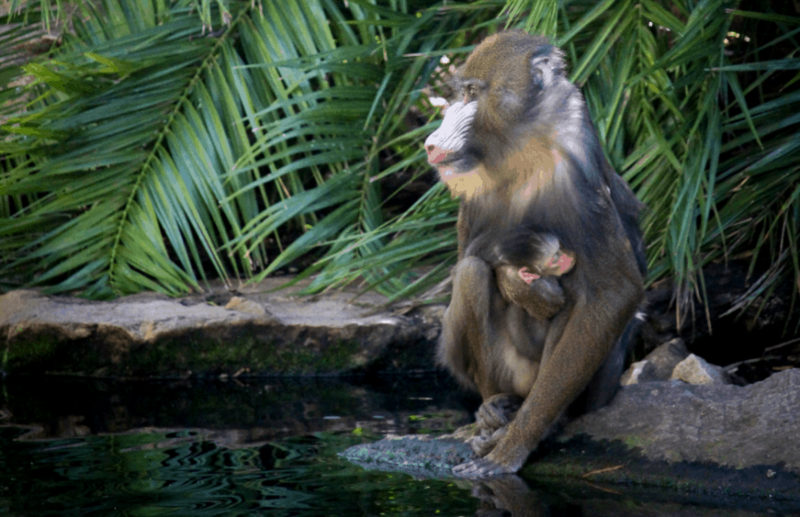 Visitors to Adelaide Zoo will be able to catch a glimpse of the youngster in the Mandrill habitat with the rest of the horde next door to the Hamadryas Baboon habitat. The new arrival follows an exciting start to Spring, with five adorable Meerkat pups joining the family in late August and a string of other births on the horizon.